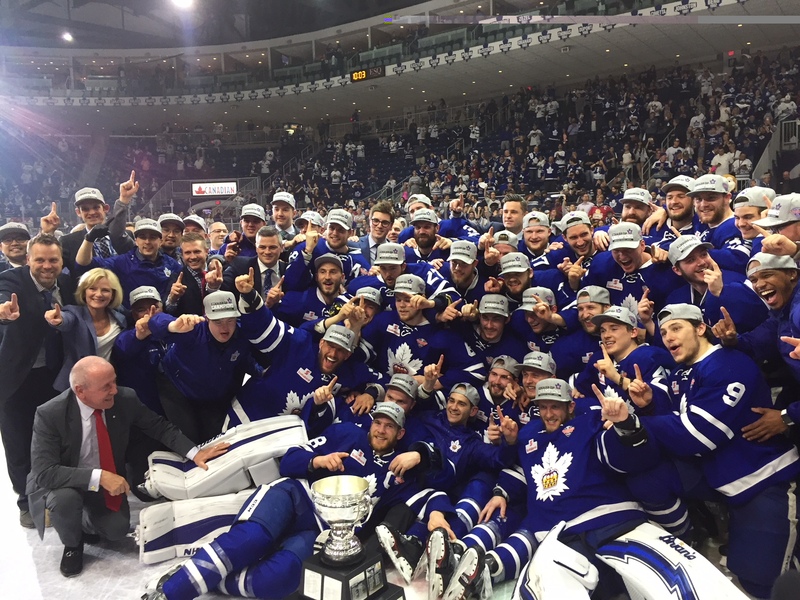 The Toronto Marlies are the 2018 Calder Cup champions, following a 6-1 win over Texas in Game 7 at Ricoh Coliseum on Thursday. 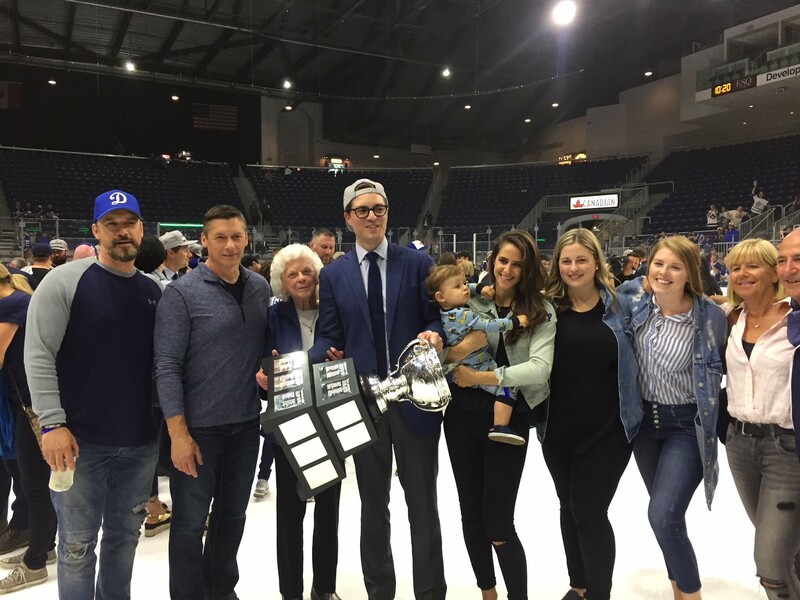 The victory marks the first AHL title in the franchise’s history, and secures the legacy of general manager Kyle Dubas, who was promoted in the same role to the parent club last month. 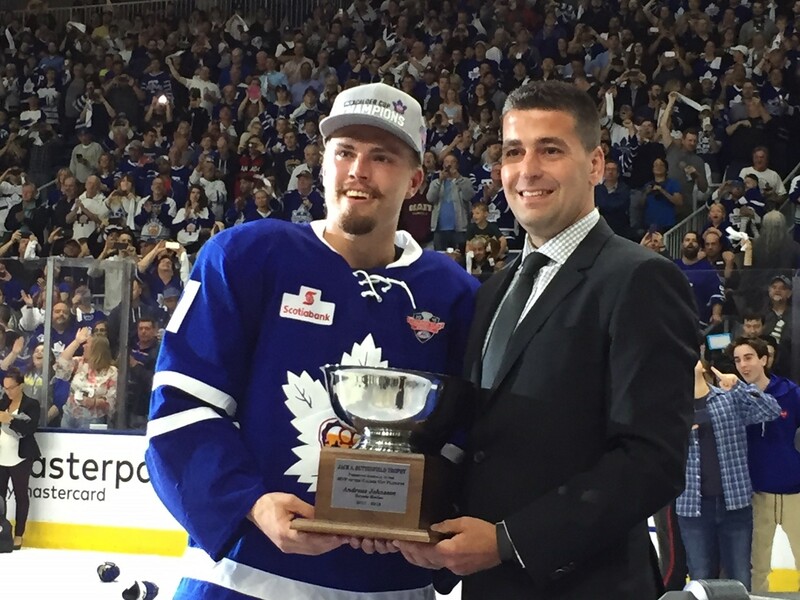 Andreas Johnsson was named the Jack A. Butterfield Trophy winner as the most valuable player in the playoffs. He scored twice and added as assist in the clinching game, finishing the post-season with 10 goals and 24 points to lead the league in both categories. The Marlies punctuated the tug-of-war series over which both teams alternated victories, from start to finish. Toronto’s blue line received a huge setback when Travis Dermott was announced as a late scratch due to an undisclosed injury sustained in Game 5. 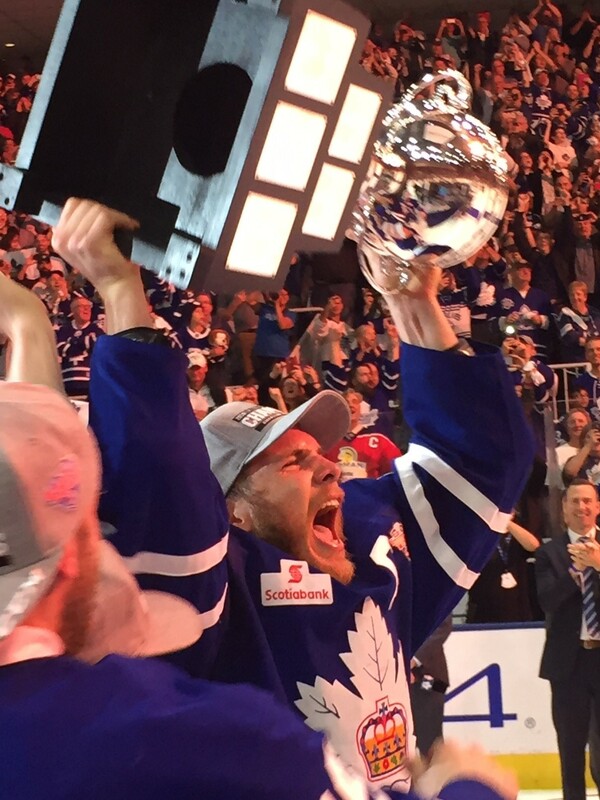 However the potent first line of Johnsson, Carl Grundstrom and Miro Aaltonen – who had been inconsistent in the fourth round – stepped up in the biggest game of each respective member’s AHL career. Johnsson pounced on a rebound at 10:41 of the first period to open the scoring, with assists going to each of his two linemates. For good measure, Aaltonen had made a sprawling defensive play to help keep the game goalless, up to that point. With time winding down in the opening frame, it was the Marlies’ energy line of Mason Marchment, Adam Brooks and Trevor Moore that found the inside of the Texas net. After being foiled by Stars goalie Mike McKenna moments earlier, Marchment fired a one-timer in the slot to extend his team’s lead to a pair of goals. There was no scoring in the second period, due to the effort of Toronto netminder Garret Sparks. Seeking redemption for a subpar Game 6 outing during which he was pulled, Sparks – who appeared to fight the puck throughout the opening 20 minutes – made a tremendous side-to-side save on Texas blueliner Dillon Heatherington, further bolstering the Marlies’ swagger. In the third period, the Marlies began to put the game out of reach when the top line connected again, Grundstrom converting a pass from Johnsson. A lengthy video review was held to confirm the Stars’ only goal of the game, amidst some controversy. Austin Fyten was credited with his fourth tally of the pre-season, but the replay that was aired on the Ricoh Coliseum scoreboard showed no evidence of the puck entering the net, much to the displeasure of the raucous crowd. Undaunted, the Marlies – playing to extend the lead as opposed to protecting it – finally sealed the victory with Johnsson’s second goal of the game. Captain Ben Smith, and then Marchment again, added a pair of inconsequential goals to round out the scoring, the former going into an empty net. “We have a good team, and we expected to have a long series, and we managed to do that,” said an elated Johnsson. The win bolsters the Coach Sheldon Keefe, who resolutely maintained poise throughout the Marlies’ biggest challenges of their playoff run.